I had lofty goals to finish scanning and blog the engagement session tonight, but as I am burning the midnight oil here and still not quite done (not to mention removing dust), I thought I'd just share a wee preview. See one more over here. Some backlit goodness for you. I'm amazed I metered and exposed this OK. Backlight is always so tricky! And once again, nothing beats the bokeh on the Contax. props, dude. backlighting can seem so simple but is so hard to get right! especially on film. nicely done! Agreed on the backlighting - I would be scared out of my wits to do it on film! Can't wait to see the rest. what a sweet portrait & the light is awesome! aw that picture is adorable! I'm way behind, so first let me say congrats on the portfolio! I like the way you paired photos together - visually stunning. I hope it's the start of great things. As for this preview and the one on Flickr - so lovely! 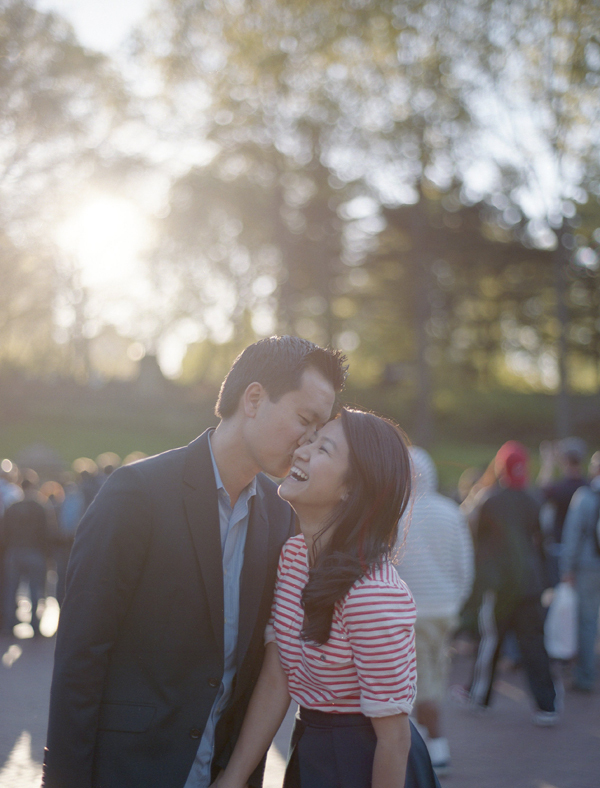 There is something very romantic about an engagement shoot on film! Such a gorgeous couple! And yes, backlight is tricky, but you nailed it!